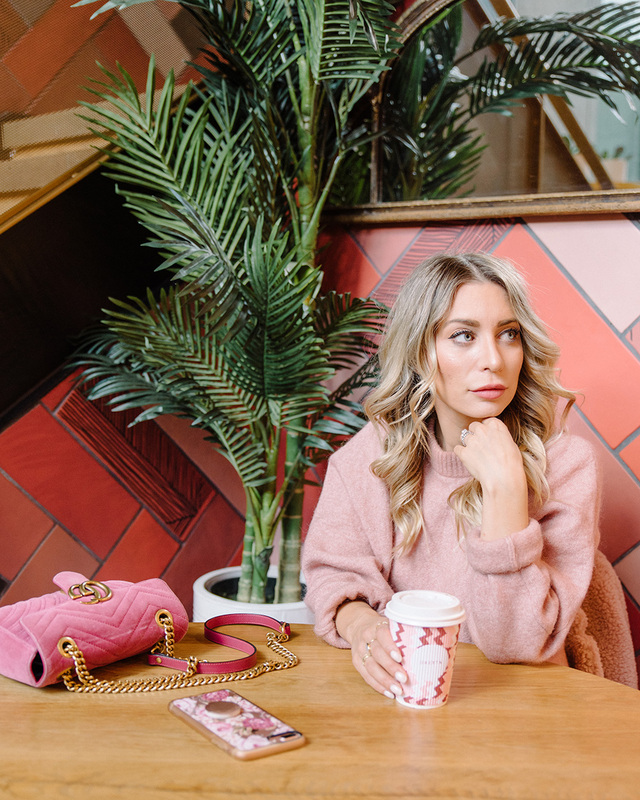 Joelle is the fashion & lifestyle blogger behind La Petite Noob. Her signature style is ultra-feminine and pink while still remaining classic and wearable. Joelle styled all her looks which were a mix of fun prints and textures like leopard, stripes, faux fur, leather and knits. The locations were also very appropriate for her style. 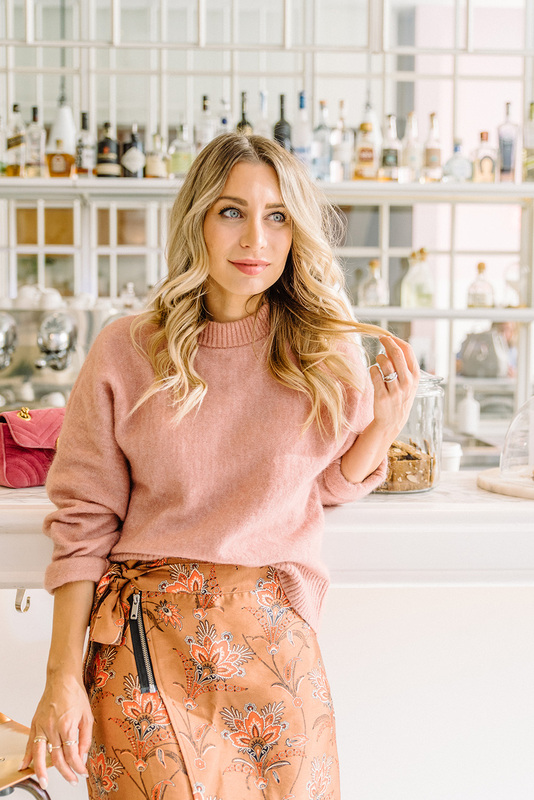 We shot at a cafe that was decorated in blush, salmon and taupe tiles, and then went to a cute nail salon that was bright and airy with copper and marble accents. There was also a fun neon pink sign in the salon that made for the perfect backdrop for some photos. Our last location was a doughnut shop with a pink brick exterior and a gold and pink interior. Everything was extremely well coordinated and represented Joelle’s brand aesthetic & personality to a T!